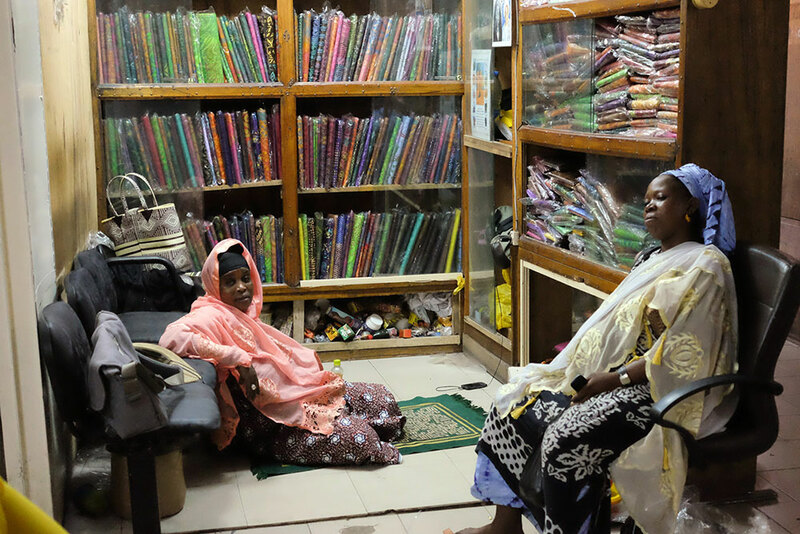 In my dissertation project, Cloth as Conduit, I examine cosmopolitan West African dress from the perspectives of consumers, merchants, and artisans, through fieldwork with Malians and Mande language speakers in Senegal, France, and Mali. I'm drawn to some apparent paradoxes in the domain of fashion in this community: it is both cosmopolitan and localized, with constructed ethnic and national reputations playing important roles in marketing, production, and wear; the styles are strongly tied to ideas of 'traditional' appearance and values, but the most prestigious cloth is an essentially modern product that begins as a globalized commodity; artists tend to be technologically open while the fashions they create respond to certain enduring aesthetic desires. Broadly, West Africans value cloth and dress articles highly and use dress adeptly as an expressive medium and as sensory experience. The creation of dress is often an interactive, custom process, and I emphasize the integration of dress with other forms of culture--music, dance, charged social rituals--and its engagement of the senses. I investigate how exchanges and collaborations between consumers and artisans take place within larger regional and global networks of power, meaning, and commerce, networks that are inscribed onto the bodies of men and women when they dress. I also have a passion for museums of all kinds, from the encyclopedic to the small and strange, and have written about critical museum and exhibition history. Other current and future projects: fashion and state control in 1960s Mali; African photography, materiality, cloth, and the body; and a multi-threaded project on concrete as material and mode in Africa, to include modernist architecture, artworks, ad-hoc and experimental building, and perhaps more.